CUSCO :This will be a slow and relaxing day giving us time to acclimate to the higher altitude and adjust to our Andean Mountain surroundings. Meet Peruvian Medicine Women Xochitl Kusikuy Ashe and Marcela Pantigozo in the hotel lobby at 3pm. The morning is free and you can explore downtown Cusco, capital of the Incan Empire, which is located high in the Andes Mountains. Welcoming Ceremony to introduce each person to the Apus Spirits of the Andes and ask for a blessing for our journey. Introduction to the Coca Plant Spirit and a spiritual cleansing with local plants. We will go over details of our trip and set intentions. 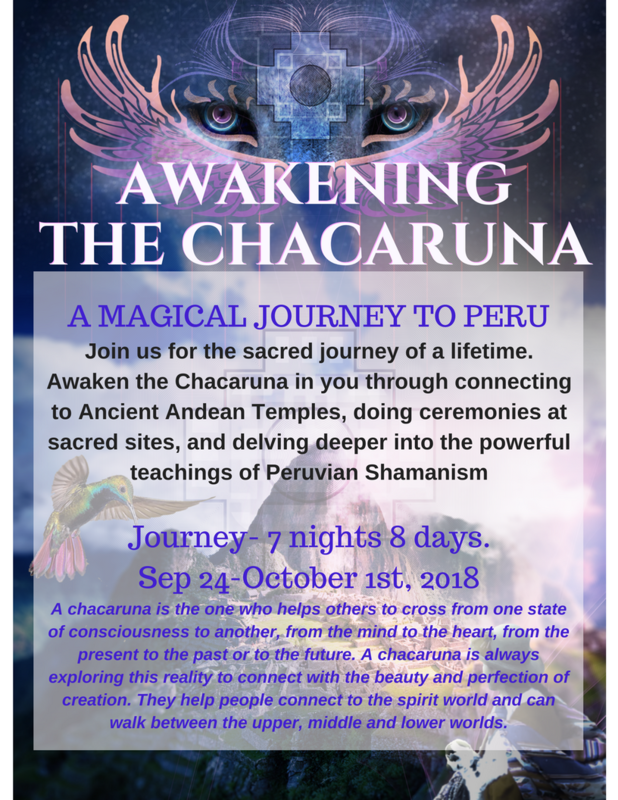 Marcela will talk about the connection with the Chakana, Kay Pacha and Andean Cosmo vision. Then everyone is free to go to dinner together or on your own. TIPON: At the very top of the Tipon terraces, you will find a water temple. An underground well feeds the intricate system of waterways: separating the mighty stream first in two, then in four channels and finally uniting it into one again. Connecting with the water as it flows through the stone channels, it will feel as if it is running through our veins. As we walk, we will start to flow with the water, opening our heart, and letting it cleanse our spirit, so that we can continue to flow in this life. ÑAUPA: This is a site that is off the tourist path. You will feel like Indiana Jones discovering a treasure for the first time. This is a very special site to Xochitl as she was able to channel Pachamama in this temple, which she later found out was one of the most important sacred sites dedicated to Pachamama. The carvings on the stones are beyond impressive and many say it is a portal that is still active. Because this temple is not on the normal tourist route, there are many Pacos (medicine People) who still use this site for ceremony today. It is Xochitl’s dream to bring other Chacarunas to this site where she received her vision for this trip. This is a special, one of a kind opportunity you will not find on other Itineraries. 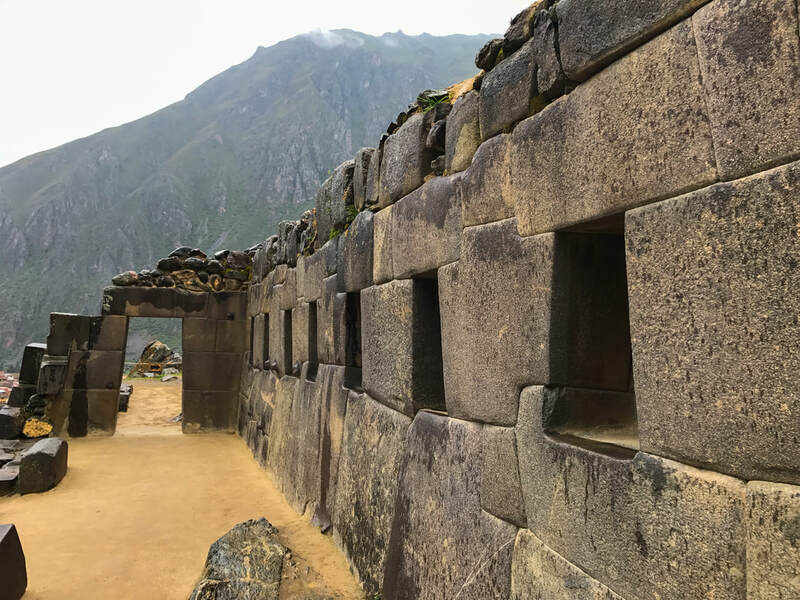 OLLANTAYTAMBO: This site is one of the most impressive, as you will see how the Incas were not just great builders of sacred structures, but also would align their buildings to mountains that embodied the shape of their guides. We will see the Condor Apu here as well as countless other incredible connections to star systems and the Chacana. You will also get to see a living Incan city as we drive to the site. From the town of Aguas Calientes we will walk on the railroad tracks which follow the river when the road ends. From here, we view the steep mountain cliffs all around, jutting straight into the sky far above. After about an hour along the river, we’ll turn away from the river and head up a side stream toward the Mandor Waterfall. Although we are hiking in the Machu Picchu Sanctuary, there are some homesteads scattered throughout, and as we get away from the river we pass through an orchard with fruit trees before transitioning into cloud forest. About 20 minutes later we reach the waterfall, with a small pool nearby that allows a quick swim before or after our picnic lunch. 5:00 AM Bus to Machu Picchu. MACHU PICCHU: It’s hard to pack your bags after visiting Machu Picchu and experiencing its energy. It may sound strange, but it seems that part of you is left at the citadel, flowing through the corridors and around the mountains. Every visitor leaves this Incan site feeling rejuvenated—almost as if a weight has been lifted. We may not be able to physically sense this weight, but Machu Picchu lightens our spirit and gives us the strength to continue with our lives. SACSAYHUAMAN: First and foremost, the enigmatic fortress, is a masterpiece of engineering. Modern day experts cannot explain how it was built. Sacsayhuaman is a marvel of mathematics, philosophy and advanced engineering. Huge stones, most of which weigh as much as 100 tons, have been laid out in a zigzag formation so that the outer walls resemble a bolt of lightning. The walls are stacked into three platforms which represent the structure of the Universe as the ancients saw it – the Upper World, the Middle World and the Under World. PUMAMARKA: This temple is just as special as Ñaupa Iglesia. It is a temple that was only discovered in 2011 and is not a part of the tourist route. We will be dropped off on the side of the road and walk through farm land to get to this hidden gem. Inca Pachacutic built this temple and home for his beloved wife Coya Mama Anahuarque. He was the Inca who expanded the empire to the rest of South America and was considered enlightened as Jesus. This temple is off the beaten path and pacos still come here to do ceremony. This place still holds the feminine energy of Mama Anahurque and Pachamama. Also, laughs, joyful tears, and the beginning of lifelong friendships . . . just about everything a spirit could want! Plus, spiritual growth that cannot be measured by any standard! We guarantee that you will never be the same! Not Included: Dinner, Travel Insurance (required $35-$45). Tips to maids, bus drivers and other guides, exiting airport tax, and other things not described in the itinerary. Airport departing tax is approximately $32 USD. Airfare to and from Cusco, Peru is not included and is the responsibility of the participant to obtain. ​(2.) For Pilgrimage deposit, cash non-refundable $550 by June 31st The rest by Sep 1st 2018 -60 days prior to tour dates, we will need your passport number and flight plans. When Xochitl (So-chil) Kusikuy Ashe was 16 years old she became the first female of five generations of men to be initiated into the healing traditions of her Peruvian shamanic lineage. She is a Medicine Woman, Paco, Pipe Carrier, Visionary Business Coach and Life Purpose Guide. She combines modern cutting edge evolutionary modalities, Eastern traditions as well as the Earth Medicine of her Peruvian & Mexican lineage to bring about potent and lasting change. She facilitates Dive Into Abundance- an online program which is a morning practice that has reached hundreds of people all over the world and awakened them to the having more Abundance and connection to spirit in their lives. She is the facilitator of Peruvian Andean Ceremonies, Traditional Cacao and Sacred Cannabis Ceremonies, and Women’s Circles. She has been a teacher and guide for individuals and groups in workshops and one and one sessions in the U.S and internationally for the past 20 years. 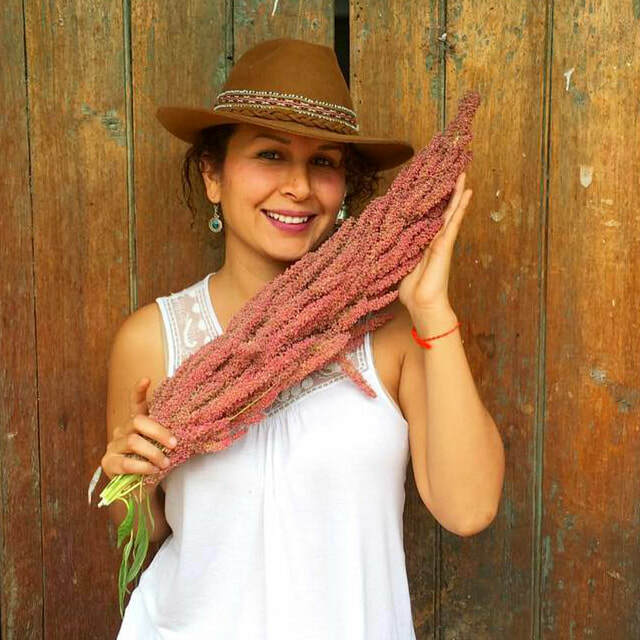 Xochitl Ashe is currently faculty at the School of Shamanic Arts where she teaches Peruvian Andean Shamanism and how to connect with plant spirits.